Your child is going off to college, happy, healthy, and on their own for the first time in their life. Great! And frightening. You’re a parent, and can’t help but worry. You’re confident that your child, now a young adult, will make the right decisions about most situations, but what about healthcare? All through their young lives you – as parent – have decided what doctor or dentist your child would go to, what shots your child should or should not have, you’ve requested and received medical records, and generally made all healthcare decisions on your child’s behalf. But now your child is eighteen or older, perhaps in a faraway state, or both. 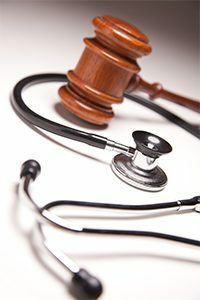 Because your child has reached the age of majority (18), absent your child’s consent, even in instances of emergency you may not legally be allowed to participate in your child’s healthcare decisions, consult with medical providers, request and receive medical records, or be advised as to diagnosis, prognosis, or treatment. A medical provid er may choose to disclose your child’s health information to you, even without your child’s consent if, in in the provider’s professional judgment, it serves your child’s best interest, but they are not obligated. Your child is on his or her own, left with making a decision of the type they’ve never had to make before. Some colleges have health forms that enable a parent or guardian to participate in the student’s healthcare decisions, no matter what age the student is. Make sure you inquire if this is the case at the college your child will attend and, if yes, sign up! However, your child may be injured or fall ill someplace off campus, and the college healthcare waiver may not apply. Or perhaps the general waiver does account for a condition your child has. We recommend that students execute a limited Medical Decision Power of Attorney and HIPAA authorization form. The documents authorize parents or guardian to participate in the student’s healthcare decisions, to obtain medical records, be aware of relevant conditions, diagnosis and treatment. Make sure the college health center has a copy on file, even in situations where the college has its own medical information waiver in place. This isn’t helicopter parenting, this makes good, practical sense, designed with your student’s best interest in mind. And one less worry for you. We at Francis D. McIntyre, PC can draft a Medical Power of Attorney and/or HIPAA authorization form that best suits your student’s needs, be they general or requiring specific attention to certain conditions. Some forms are also available online. College should be a happy, healthy, worry-free time for both student and parent, except for maybe those pesky tuition bills. Contact us at (908) 264-7220 or moc.qsemfnull@mdf to set an appointment.